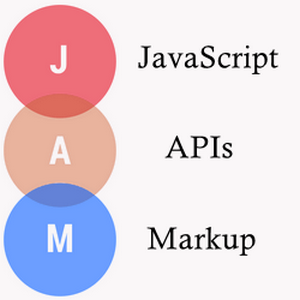 For the sake of this post, we will be writing our application in TypeScript and all the snippets below are in TypeScript. Azure team provides a npm package azure-keyvault to work with the key vault. The first thing needed to authenticate for your application NodeJS application is to create a service principal in the portal. 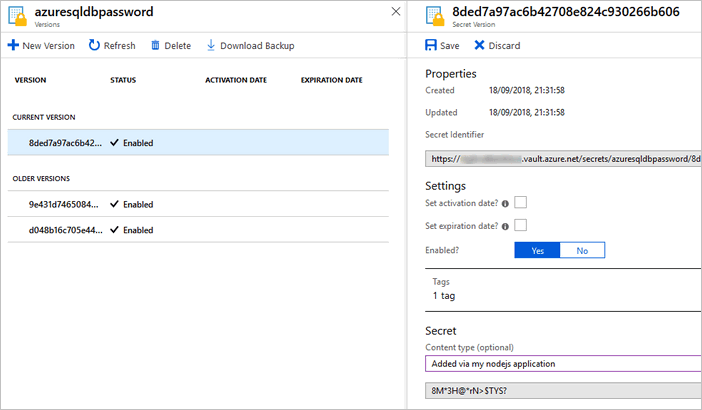 This is one of the recommended way because you can limit permission to the app to do only what you want - in this case to access azure key vault to write secrets to it. 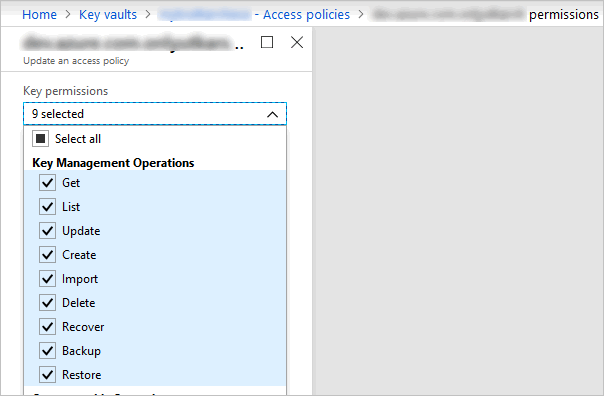 For example, for the app I created for this post, I have set access policies to perform only Key Management operations and for this key vault. How to create the service principal is outside the scope of this post, but you can read more here. If you have created the app successfully, you should have client id, client secret and the tenant id. In your nodejs application, using the command prompt go to the root of the folder where your package.json file exists. We need to install two packages from Azure. First one is the ms-rest-azure and second one is azure-keyvault. This should update your package.json file to include the package as dependency. Once, you install the package, you need to import them in to your file. 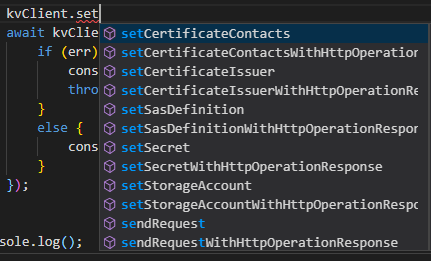 Then we use client id, secret and tenant id to create an KeyVaultClient object as below. Next step is to write a secret to the keyvault. That is again just few lines of code. For this we need also our keyvault URL. Notice we are also passing tags and optional contentType to the secret which adds useful metadata to the secret being added. 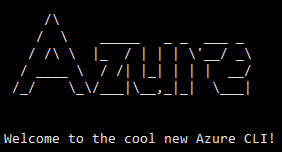 That’s it, you should see your secret added in the Azure key vault. Notice, it has our added tag and also our content type. This post just showed adding a secret to key vault. However the NPM package is very powerfull and allows you to do all other operations like creating certificates, deleting, backing up secrets etc. 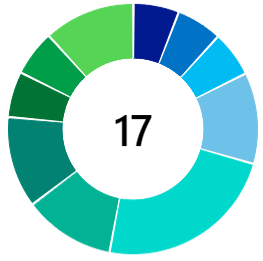 That is it for this post - I hope you found this post useful.